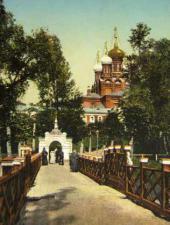 The Russian intelligentsia's interest in these issues could be explained by its attempts to "seek God" and dreams about founding a "Universal Church" that would unite all historical churches - Orthodox ideology, with its emphasis on monastic asceticism, did not satisfy the intelligentsia. Thus, they sought to find out from clergymen how science, art, social ethics, and secular work - the spheres important for the development of the individual's creative potential - were integrated into the life of the contemporary church. For them particularly, life devoid of creative work had no value. 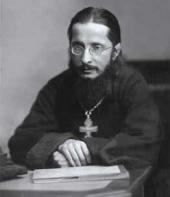 Ternavtsev, for his part, suggested that the Church should seek the support of this new force, which, according to Ternavtsev, "was neither the bureaucrats, nor the bourgeoisie, nor the nobles, nor the educated class as a whole, but specifically the intelligentsia".3 He believed that the intelligentsia was the very force capable of reviving the life of the Church. The Assemblies were interesting and lively, often ending in passionate debates, but their existence was short-lived. 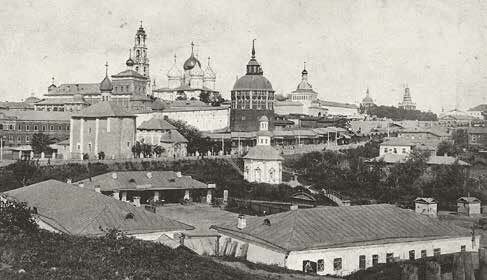 In early April 1903, they were discontinued after Konstantin Pobedonostsev, then the Attorney-General of the Holy Synod, issued a decree barring them - such were the consequences of heated debates prompted by a discussion of the topic entitled "On the Church Doctrine", and of the possibility to reform that doctrine. 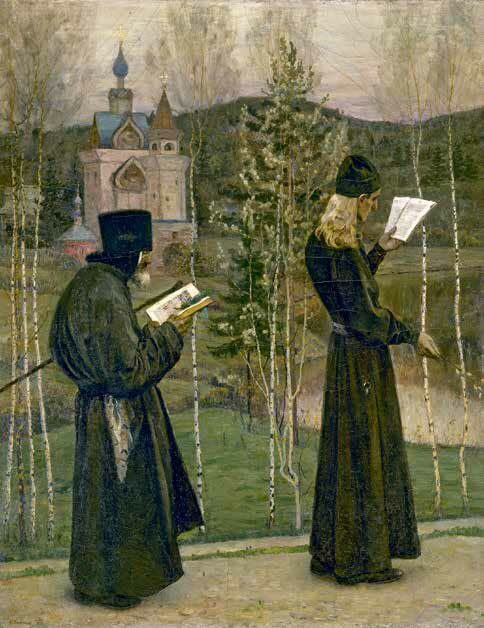 Nevertheless, leaving behind the hard intellectual battles fought by some members of the intelligentsia, we enter the world that Nesterov establishes in "Holy Rus'" and discover something completely different - a world of simple, popular faith. The Slavophiles once wrote devotedly about this heartfelt faith that they perceived as the source of the very existence of Orthodox Russia. 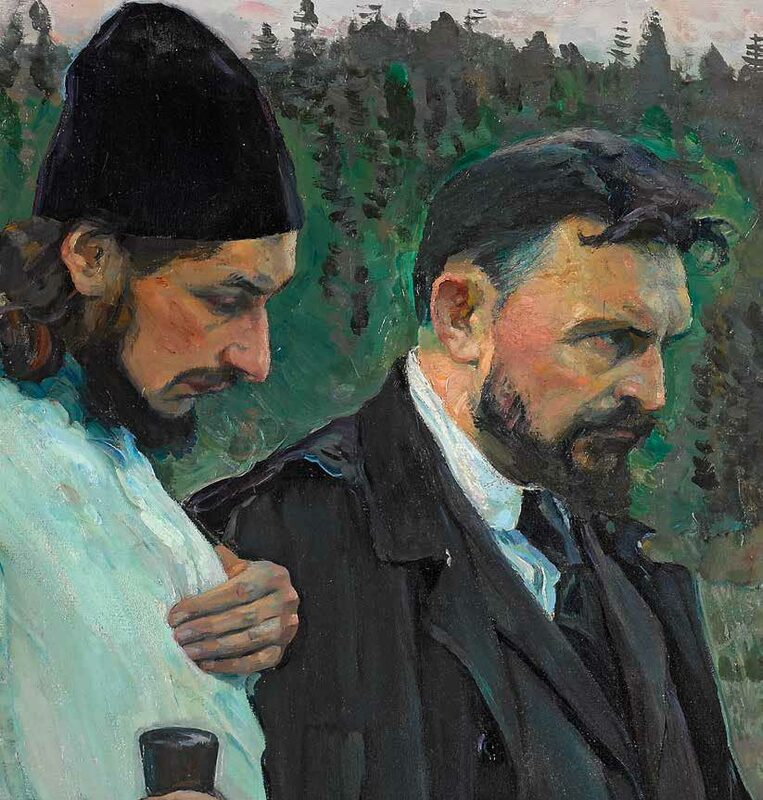 Indeed, one cannot find a single member of the intelligentsia in the crowd that streams out of Russia's vastness to meet Christ -Nesterov painted only children, peasants, and the religious. There are no members of the intelligentsia in his other painting, "The Way to Christ" (1911, in the refectory of the Marfo-Mariinsky Convent). Among the multitudes coming to meet the Saviour, we see townspeople, nurses, and a soldier - the artist painted the latter taking into consideration one soldier's remark about the army being charged with the protection of the Motherland. 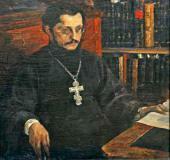 Vladimir Soloviev is known as the founder of the independent tradition in Russian religious philosophy. He worried about the tragic gap between the Christian Church and secularized society and offered his theory of the "All-encompassing Unity", which suggested that belief in God and belief in human nature could "join in one full perfect truth of God-mankind". 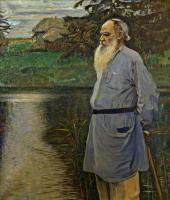 As for Leo Tolstoy, his image also had to be included in this work, despite the fact that he had been excommunicated. A true representative of the Russian intelligentsia, Tolstoy shared the same yearning for a religion but he explained Christianity from a rationalistic standpoint, rejecting its doctrinal and mystical components. 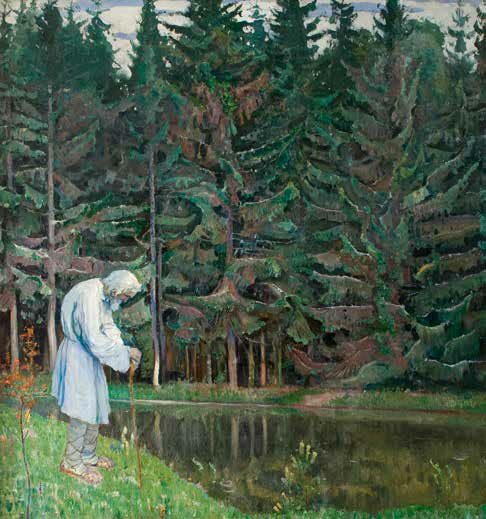 Given his sound realist background, Nesterov had to find real, live models for almost all of his characters. To paint Soloviev, he used the philosopher's photographs, but for Dostoevsky's image the artist had to work with sketches made from his friend, Leonid Sredin, who resembled the great writer. 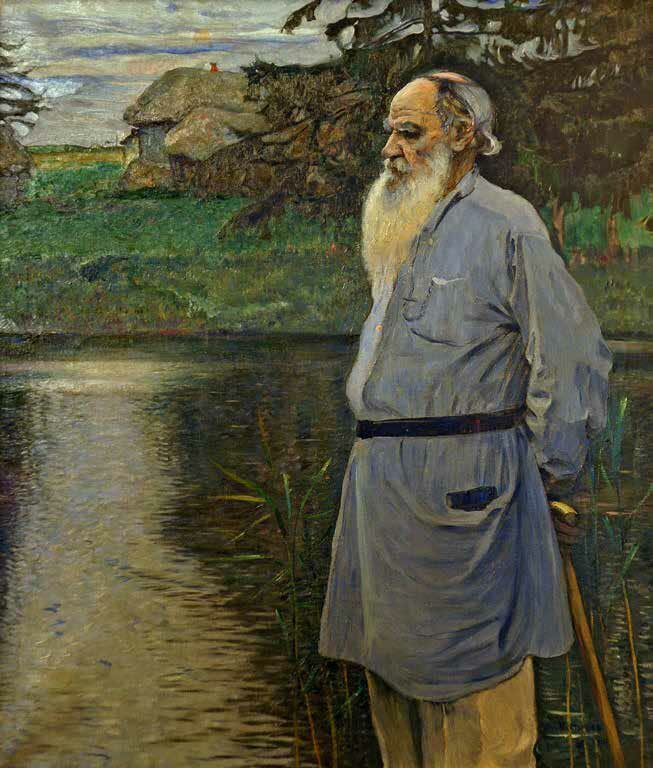 Fortunately, he could paint Leo Tolstoy in the flesh, and for that very purpose he was invited to Yasnaya Polyana in 1907. 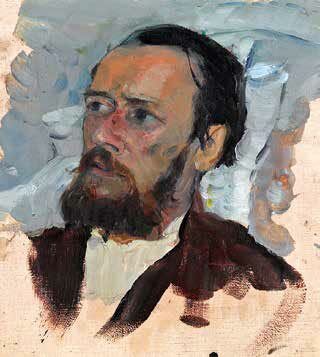 With this work Nesterov commenced a series of portraits of members of the Russian intelligentsia. Previously he had painted mostly saints and "God's people", both on the walls of churches and on his easel. Only when free from working on murals did he paint portraits of his loved ones - his daughter, his wife, and his friends. According to ascetic literature, the grace of understanding both the universe and one's own self is given only to the humble of heart. Nesterov was well aware of this postulate, and recognized and appreciated it. "I admire my elders," he confessed, "but I was not like them myself. 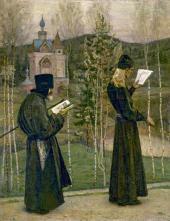 "18 As Durylin noted: "In his soul there always lived that unquenchable yearning for the inner world, for that lucid peace that he himself could never find in the compulsory silence of a monastic cell but always saw, searched for, and experienced in loving unity with nature and in its festive serenity. "19 In his life, Nesterov enjoyed interaction with different people, especially with those who had an imaginative nature. The artist himself was of a dual disposition that combined zest for life with a taste for mysticism, and that enabled him to understand well the complexity and inconsistency of human nature. However, with regard to his works, Nesterov used every opportunity to draw a distinction between the real and the ideal; and holiness was always the ideal that the artist envisaged. Perhaps that was the reason behind Rozanov's suggestion to unite Nesterov's works under one theme: "The Transition from Biography to Hagiography".20 One may notice a spiritual vector defined by the philosopher in certain paintings that represent unknown "servants of God"; this vector, however, becomes apparent when one contrasts some of Nesterov's works - for example, "Portrait of Leo Tolstoy" and "Abraham, Servant of God" and a few others, such as "To the Sounds of Church Bells" and "The Philosophers" (1917, Tretyakov Gallery). In the second painting, there are also two characters: a priest, Father Pavel Florensky, dressed in a light cassock that "looked more like some ancient Eastern robe"22, and Sergei Bulgakov, a professor of Moscow University. However, here the atmosphere of "intellectualizing" conversations and of the contest between the "temper of mind" (Florensky) and the "temper of heart" (Bulgakov) dominates the whole space. There is no sense of silence here. 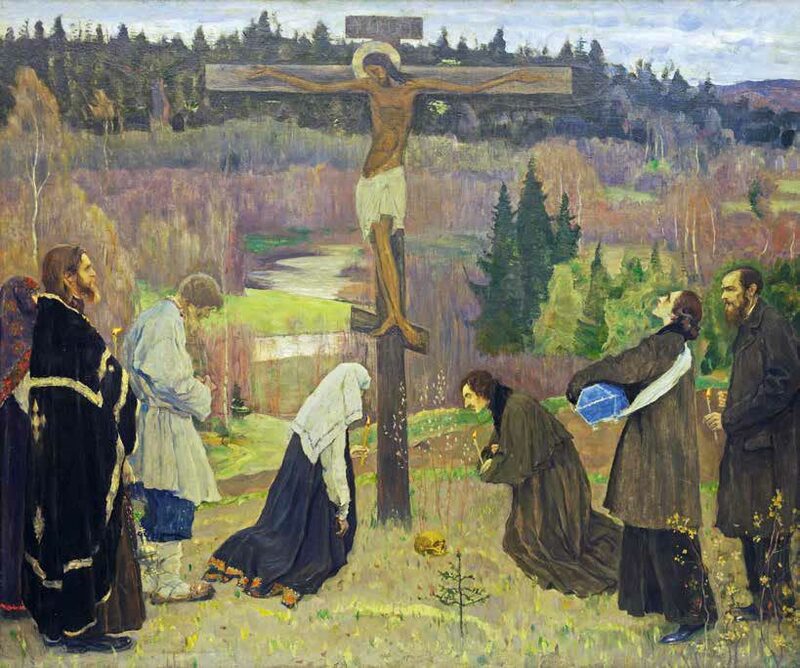 When Nesterov was working on this painting, Florensky lived at Sergiev Posad and served on the Historical Commission on the Trinity-St. Sergius Lavra: he held the positions of Scientific Secretary and Custodian of the Sacristy from 1918 until 1920. Blessed by Patriarch Tikhon, the Commission strove to protect the Lavra's cultural assets from despoliation and desecration. In 1917, Sergei Bulgakov, whom Nesterov highly regarded, published his first theological book, "The Unfading Light" that crowned his "tangled and complex - sometimes too complex! 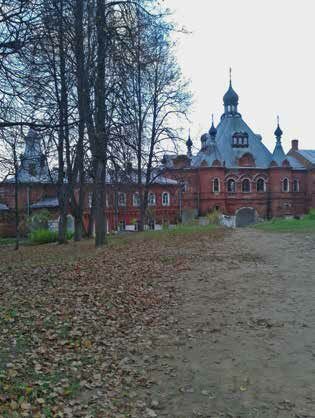 -spiritual quest",23 and the next year Bulgakov took holy orders at Moscow's Danilovsky Monastery. 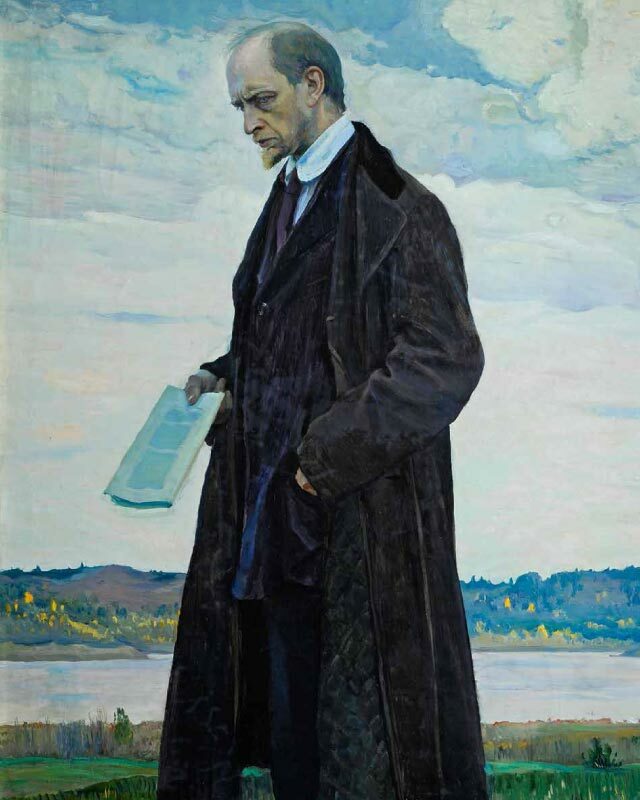 Another of Nesterov's works, "The Thinker (Portrait of Ivan Ilyin)" (1921-1922, Russian Museum) is emotionally close to the "The Philosophers". In this painting, however, there is only one figure, an intellectual taking a lonely walk. In his hand he holds an open book that, apparently, has prompted deep reflection. His expression is anxious and he is completely lost in troublesome thoughts, oblivious to the beauty of the surrounding landscape. This painting recalls another of Nesterov's major works, "The Hermit" (1889, Tretyakov Gallery) which has a similar compositional structure, depicting a lonely hermit. 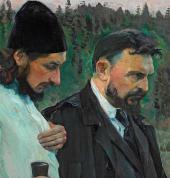 It seems as if the artist deliberately contrasted these characters: for the hermit's image, he found "a warm and deep stroke denoting a man at peace,"29 while for his "Thinker" he "needed just such a face - with a small red beard, rancorous and stubborn".30 When Ilyin's wife asked him to paint the thinker with "the face of an angel", Nesterov resolutely refused. This story reminds us of another work by Nesterov, painted without a trace of irony and showing us an ideal world - "Lel' (Spring)" (1933, Russian Museum). On the edge of a forest, where the trees shoot forth sticky leaves and, undoubtedly, "a nightingale sings", a young shepherd walks lightly, barely touching the ground with his bast shoes, and plays his flute - pure and innocent, like nature awakening from its winter sleep. 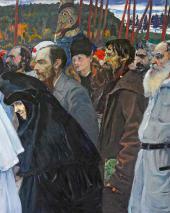 The contemporary Nesterov scholar Eleonora Khasanova offers a very persuasive conclusion when she writes: "...for Nesterov, both the people and the intelligentsia have involuntarily participated... in the 'destruction of the Great Motherland'; and they both stand at the Cross, profoundly penitent; but they are not equally guilty: the guilt of the intelligentsia is greater - that is why they stand at the right side of the Cross. "37 As everybody knows, the cross with the unrepentant robber stood on the right of the Saviour's Cross on Golgotha. President of the St. Petersburg Ecclesiastical Academy, Bishop Sergiy (Stragorodsky, 1867-1944, in 1943-1944 Patriarch of Moscow) chaired the Assemblies. The future Archbishop of Volyn Antoniy (Khrapovitsky, 1863-1936, emigrated after the October Revolution and headed the Russian Orthodox Church abroad) also participated actively in the Assemblies. 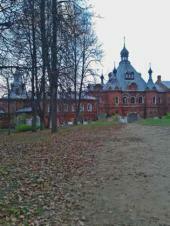 Ilyin, I.A. "The Lonely Artist. Articles. Speeches. Lectures". Moscow, 1993. P. 325. 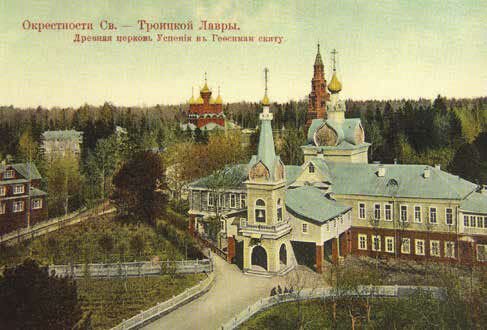 In his letter to Vasily Rozanov, dated November 1, 1910, with regard to Tolstoy's leaving the house at Yasnaya Polyana, Nesterov wrote:"Leo Tolstoy is a great symbol of the Russian people's diversity; he represents its fall, repentance, pride and humility, ferocity and tenderness, and the profound magnitude of its genius - all those features that are so incomprehensibly mixed in our people. 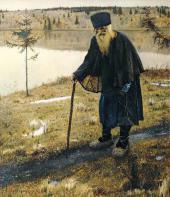 In his later life, having tasted everything - from the greatest joys to the deepest sorrows, this Tolstoy starts his way to God on an autumn night and en route visits a man who is as old as Tolstoy himself - Zosima, perhaps a Karamazov starets [Nesterov means Amvrosiy (Grenkov), an elder from the Optina Pustyn monastery - O.A.] to check for the last time whether the way he chose indeed will lead him to the Truth." - See"Letters". P. 241. "On the Experiences". P. 477. Mikhail Nesterov, letter to Alexander Turygin. Moscow. August 31, 1906. - See"Letters". P. 221. 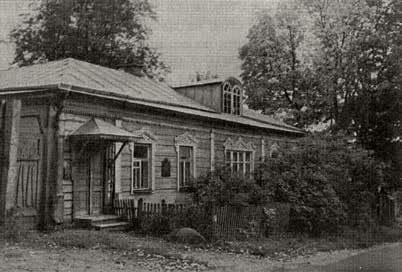 The Russian National Literature and Art Archive (RGALI). F. 816 (Nesterov), file 2, item 12, Sheet 1.//Father Abraham. Typewriting. The 1930s. 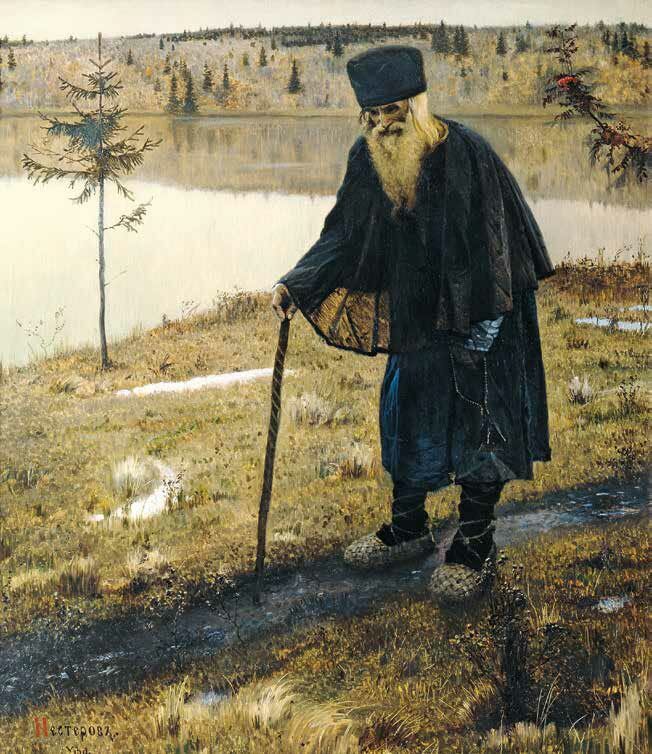 Alexiy (Soloviev) (1846-1928), hieromonk at the Zosimov Pustyn; served as a deacon in the Nikolo-Tolmachevsky church in Moscow and as a presbyter at the Assumption Cathedral in the Moscow Kremlin; joined Zosimov Pustyn in 1898. In 1917, he was delegated as a representative to the Regional Council and participated in the election of Patriarch Tikhon. The Russian National Literature and Art Archive (RGALI). F. 816 (Nesterov), file 2, item 12, P. 1. Fudel, S.I. Vol. 1. P. 35. Bulgakov, S.N. "The Unfading Light. Contemplations and Speculations". Moscow, 1994. P. 6. 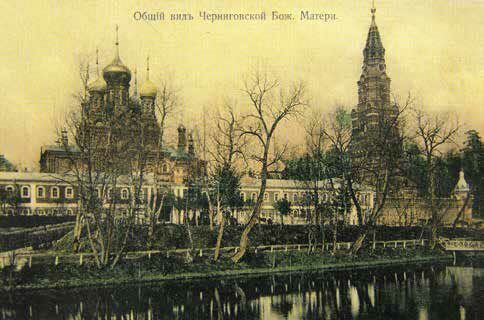 In 1908, the Religious and Philosophical Society was instituted in Russia - in Moscow at the initiative of Sergei Bulgakov, in St. Petersburg of Nikolai Berdyaev, and in Kiev of the Spiritual Academy professors. The Moscow branch of the Society was named after Vladimir Soloviev. 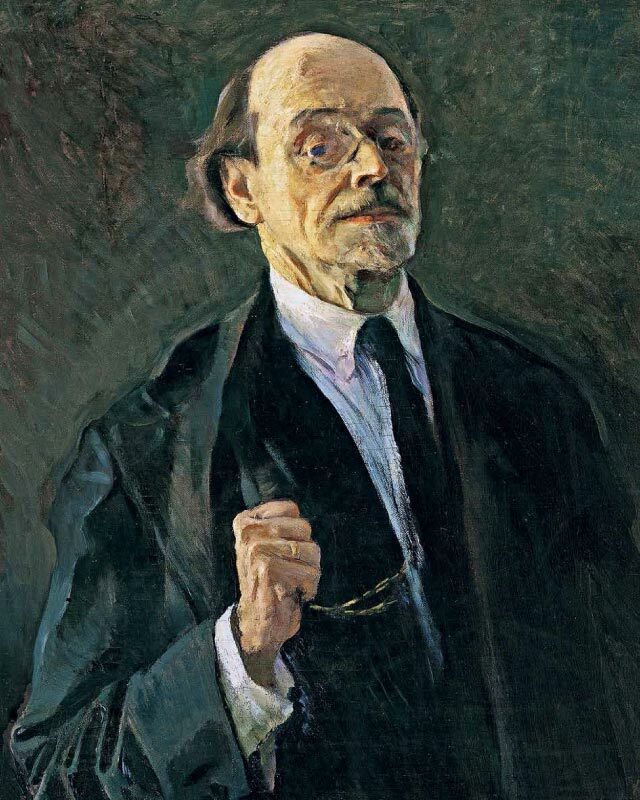 According to Berdyaev,"the Society became the centre of religious and philosophical thought and spiritual pursuits." It existed until 1918. Sergei Durylin held the position of secretary from 1912 until 1918. Fudel, S.I. "Entering the Church Experience. Selected Works", in three volumes. Vol. 3. Moscow, 2005. 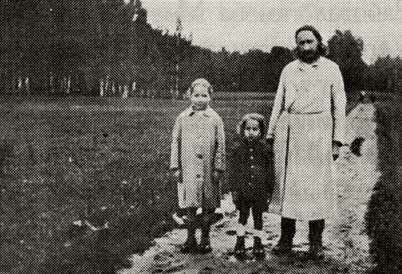 P. 290. Levitsky, S.A. P. 376. In this regard, Nesterov wrote:"Oh, the infallible Russian intellectual - he has so little love for a living soul, whether in science, in arts, in minds or in feelings. Everywhere, in everything, he will try to stifle and extinguish a spark of life, and if something 'inappropriate' happens, he will chivalrously blame his neighbour..."// Mikhail Nesterov's letter to Vasily Rozanov. 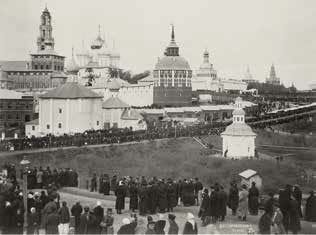 Moscow, March 23, 1914. - See "Letters". P. 258. Durylin, S.N. "In his Corner. On S.N. Durylin's 120th Anniversary. 1886-1954". Prepared by G.E. Pomerantseva. Moscow, 2006. On p. 66 Durylin wrote of himself:". This duality is unbearable - it has to be'either/or': either 'The Ladder' or'the literary circles' (Leontyev's letters; contemplations on the writer Rozanov .) Burn one or the other, but - burn." "The Ladder of Paradise" - a practical guide to monastic life written by a sixth-century hermit, the blessed John of the Ladder (John"Lestvichnik"). 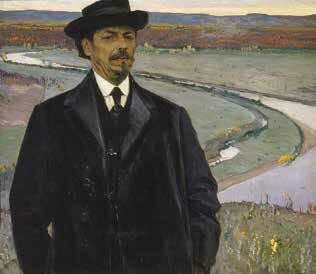 "Mikhail Vasilievich Nesterov, 1862-1942. Catalogue. Exhibition of Works from the State Tretyakov Gallery and Moscow City's Private Collections". Moscow, 1990. P. 94. "I still believe that Russian ideals will prevail." "M.V. Nesterov's Letters to A.V. Zhirkevich" // Our Heritage. 1990, No. 3 (15). P. 22. Klimov, P.Yu. Mikhail Nesterov. St. Petersburg, 2008. P. 200. The east-side entry to Gefsimansky Chernigovsky Skete.